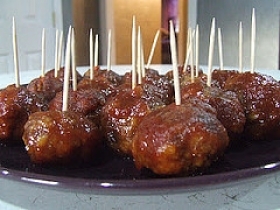 Have you made Campfire Meatballs? 1. 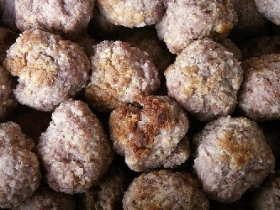 In medium bowl, combine ground beef, bread crumbs, egg, 1/4 cup water, garlic salt and pepper, mixing lightly but thoroughly. 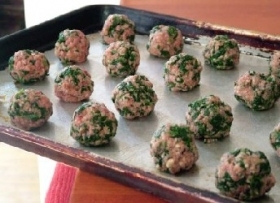 Shape into 24 (approx 1-1/4 inch) meatballs. 2. Cut four 18x12 inch long sheets heavy duty aluminum foil. 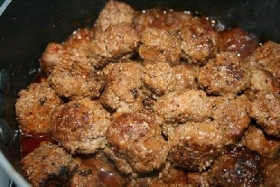 Place equal amounts of meatballs and zucchini in center of each; top each with 1/3 cup spaghetti sauce. Bring shorter edges of foil together over the center; fold down loosely to seal, allowing room for heat expansion and circulation. Fold in open ends to seal. 3. 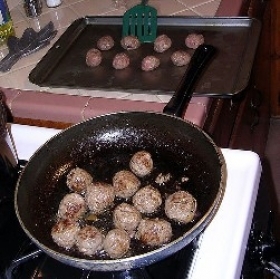 Place packets on grid over medium ash-covered coals, Grill, uncovered, 16 to 18 minutes or until meatball centers are no longer pink and zucchini is tender, turning packets over once. 4. 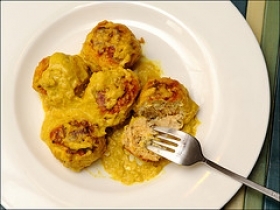 To serve, carefully unfold ends and tops of packets; sprinkle cheese over meatballs. 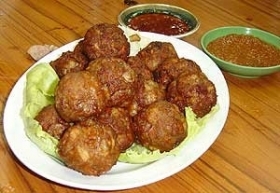 Serve with garlic bread sticks, dipping into sauce, if desired. This recipe is high in Vitamin A with 80% of your daily recommended intake per serving. This recipe is high in Vitamin C with 25% of your daily recommended intake per serving. This recipe is a good source of Vitamin E with 10% of your daily recommended intake per serving. This recipe contains potential food allergens and will effect people with Wheat, Egg, Gluten, Tomato, MSG, Cheese, Garlic, Beef allergies.